The translation of one language to another always poses their own unique challenges. Often the context and cultures need to be considered, as direct word for word translation will prove to be an inaccurate approach. The translation of Arabic to English is no different. But what are the main challenges a translator could face when translating Arabic text to English? 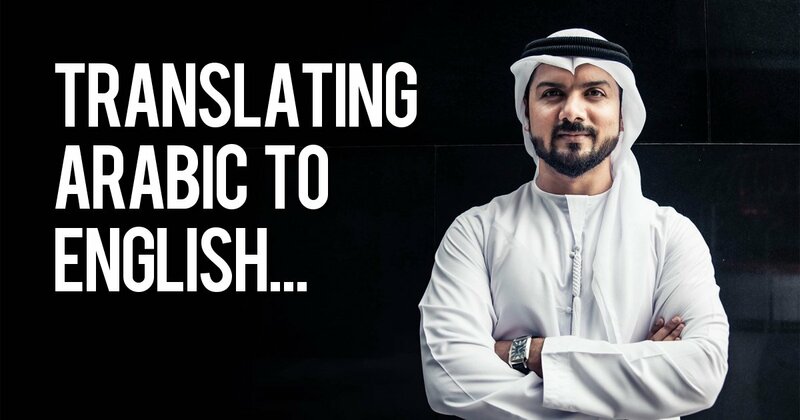 When translating Arabic to English and vice versa, it is important to understand that there are differing dialects that will need to be taken into consideration. There are three main dialects that are spoken in the Arabic language, these being; Classical Arabic, Modern Standard Arabic and what are seen as local dialects. Within the heading of Local Dialects there are 8 main groups. It is possible that even Arabic speakers may not understand the entire range of dialects, so it is important during the translation process that the Arabic translator is informed as to which region and style of material being translated is required. In addition to the rich variety of Arabic dialects and spoken languages, there are significant differences between English and Arabic in way that grammar is used and the format and sentence structures are formed. The professional Arabic translator will need to understand these differences in order to deliver a truly accurate and contextually correct translation of the Arabic or English translation. Any direct translation that doesn’t take into account these technical differences will result in the translated document not reading quite right. The translator will need to understand how the document would sound if it was spoken in order to make the written words sound correct. As with most industries, there are often words and phrases that are used almost uniquely in those industries. When a translator is faced with such issues, it is important that there is a good understanding of the industry so that they can translate correctly. This will be the case not just for Arabic to English translations but for any other language across the world. A very noticeable difference between the Arabic and English languages is the association of gender to the context. English has non-gender specific terms such as “it” whereas Arabic will always associate a gender, no matter what the object is. For example, should the document contain the word “it” in English, the Arabic translation will need to associate the correct context to male or female. If the context of male or female is unknown, the translator will refer to the item as “they”. This means the translator will have to be very careful during the English to Arabic translation to accurately depict the correct gender association. As can be seen from the many differences between the Arabic and English languages, especially the dialect and cultural differences, the professional Arabic to English translator will need to be fully versed in the dialect and subject matter in order to be able to accurately translate the documents that takes in to consideration the meaning and context.